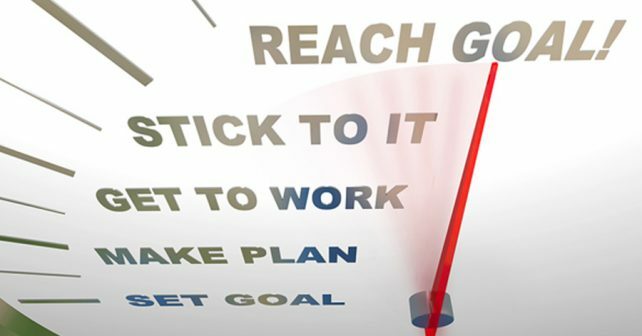 How should you set your fitness goals? For anyone mulling the idea of making the switch to a healthy lifestyle, it’s important to grasp the concept of fitness before setting expectations for yourself. Guides, articles, and blogs cannot tell you how much you should lose or gain in a period of time, and you shouldn’t measure your progress based on another person’s achievements. Many of those who have started making the switch to a healthy lifestyle end up ditching the idea because of one thing – disappointments. It’s important to set your goals, but do not set your goals until you have measured your mental and physical limits. Here are some ways for you to set realistic fitness expectations for yourself. The Biggest Loser, the show that inspired thousands to be fit, can actually be a deterrent in setting realistic expectations for yourself. The achievements that the contestants have on the show do not reflect on the achievements that you can do for your body. You can achieve more, but it doesn’t hurt if you will achieve less. You can do everything that you see on the show and still come up short, but that doesn’t mean that you’re not progressing. When you have a caloric-deficit diet, you can certainly expect to lose weight, but dieting without exercising is a short-term solution to lose some pounds. Personally, from a man’s perspective, it would be better to build muscle while watching what you eat. Strength training can burn calories, but its main role for weight loss is cutting down your body fat for long-term weight management with muscle gain. Muscle gain increases your body’s metabolism, which helps you manage your weight better in the long run, not to mention the added strength, endurance, and muscle definition, which help your body image as well. Fitness trainers always tell their clients that you will encounter some sort of plateau in your progress in fitness. That means that you neither progress or decline despite doing the same training. When this happens, remember that progressive overload and nutrition is the key for building muscle mass. The more muscles you develop, the more you should challenge yourself with increased weight and muscle tension. Keep in mind that as your body gains muscle mass, the more it requires nutrients to maintain lean muscle from breaking down. Always keep nutrition as a top priority. If you plan to build muscle mass on food alone, it will take you a very long time to accomplish what you have set out to do. Although food helps in getting your body with the nutrients that it needs, it’s not enough. More often than not, food comes with other elements that slow down your progress. For example, meats contain high levels of fat, which you would need to work on at a later part of your fitness routine. It’s recommended for anyone who plans to build muscle to take the best muscle building supplements like NitroGenix 365. It helps you improve the way your body absorbs and utilizes nutrients, as well as to enhance your body’s recovery process.